I see there's been a bit of a kerfuffle in the audiobook Twitterverse regarding the topic of pre-reading titles you are going to narrate. In my opinion, there are arguments in favor of not pre-reading. There's a feeling of fun and adventure that comes from discovering the story as you go. It can impart a certain drive and spontaneity to the reading--you're just as eager to find out what happens as the listener is. There's a tiny sense of disappointment when I pre-read a mystery or thriller these days. "Shoot, now I know how it ends!" But these things are pretty much balanced out by being prepared for anything that crops up in the book. Every narrator has stories of the unpleasant sense of shock when you get to page 367 of a 368 page spy novel and learn that the main character has a German accent. On the other hand, if you think I pre-read all 11,000 pages of The Story of Civilization, you're nuts. A book like that pretty much reads itself, I was just along for the ride. Plus, I already knew how it ended. An amusing example of what can happen when you're unprepared occurred many years ago when Flo Gibson was recording a book called California Rich for the Library of Congress. This was a breezy history of the family dynasties that acquired wealth and fame following the Gold Rush and the explosion of Far Eastern trade and commerce. Flo's maiden name was Anderson, and she hailed from one of the oldest and richest of these families, so it was thought that she would bring a special verve and interest to the story. Which she did--until she came to a passage that chronicled a lavish debutante ball thrown by a group of these families during the Depression years. The author clearly regarded it as a crass affair, a vulgar display of wealth during times of economic hardship. He particularly mocked the tasteless "theme" of the event, which involved costumes and decor harking back to the days of Marie Antoinette and Versailles--or something equally absurd, I don't remember. Well, suddenly there was dead silence in the booth. The engineer kept the tape running for a bit, thinking that perhaps Flo was simply gearing up for the next chapter. But nothing was forthcoming, so he hit the STOP button, engaged the talkback mic and asked, "Everything okay?" Nothing, save the sound of heavy, distressed breathing. "Flo, are you okay? Do you need some water or a break?" Finally, in a low, grumbling growl, came the words, "That was my coming out party." The worst argument for pre-reading is so you can "craft" the performance. I use that term in the pejorative sense. A calculated performance draws attention to itself and distracts the listener from the text. I have to battle this every time I step into the booth. It's one thing to know where the story is going and help guide the listener there. It's another to impose your own sense of style and tone on the text at the expense of the author and the listener. I've "crafted" very few performances in my career, a notable exception being The Sound and the Fury. In that case, the reading had to be carefully crafted, otherwise both I and the listener would be lost. But in most cases, every time I've set out to "craft" a "great reading," I'm pretty much disgusted with the final product. When I conduct classes and workshops, the single most valuable piece of direction I can give is this: "Think of the end of the book when you start the beginning." This simple encomium yields startling results with fledgling narrators. What was previously an ambling, moment-to-moment reading now takes on subtle colorations and a sense of momentum that foreshadows the author's ultimate goal. It imparts an "arc" to the narrative. When you narrate with the end of the book in mind, a mulititude of issues disappear. You stop thinking about "pace" and "tone" and "emphasis," and instead invest your energy in moving inexorably toward the conclusion of the story. Descriptive passages, the various characters, the dialogue all fall naturally into a proper perspective. Seemingly momentous questions--"What kind of voice should I give this character?" or "How much should I linger over this description of the lake at sunset?" --answer themselves when you consider that someone out there is waiting for you to get to the point. Another thing is that I can't NOT prepare these days. My eyes and brain aren't what they used to be, and if I don't know what's coming I start to fall apart and my mind wanders. It's sad. So by all means, be prepared. But don't take preparation as license to manipulate the text in some way that detracts from the author's intentions. An excellent example of what preparation can do for you is a title I narrated for Random House a number of years back. 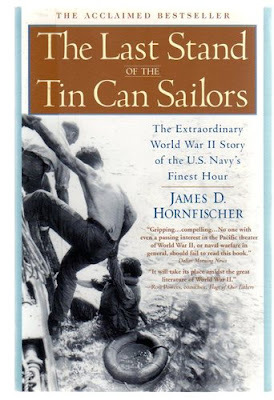 I went up to New York to record the abridged version of James Hornfisher's The Last Stand of the Tin Can Sailors, an excellent but lengthy history of the tiny fleet of U. S. destroyers that managed, through a combination of tenacity and heroism, to scuttle what remained of the Japanese navy during the Battle of Leyte Gulf. In pre-reading the book, I immediately sensed a problem: The "setup," which was crucial to understanding the magnitude of the feat these men pulled off, comprised fully half the script. 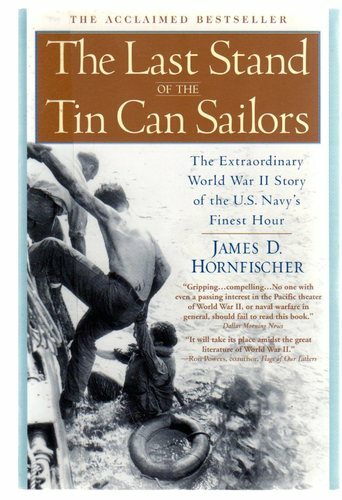 The author took what seemed like forever in fleshing out the situation in the Pacific theater up to that point, describing in detail the classes and types of ships involved, introducing the various captains and commanders of those ships, and laying out the dire tactical situation that confronted them. As a reader, I found myself growing impatient and eager to get to the good stuff. Some of this could be attributed to the nature of the abridgement, but be that as it may, what promised to be a brisk and exciting story threatened to get bogged down in seemingly pointless details, unless I found a way to pull it all together somehow. Fortunately, there was a wealth of material about the Battle of Leyte Gulf to be found online, so I spent hours looking at maps and pictures, and reading about the various people involved, until I had a clear picture in my mind of how the whole thing had played out. When I arrived in the studio, the director was standing at the door and the first thing he said was, "We have a problem." Guessing what his concern was, I replied, "Yes, we do, and I think I can solve it." With that we got down to business and I launched into the opening passages with a clear sense of the goal ahead, imparting every bit of drive and interest I could to each character, each ship and each turn of the developing plot. (Yes, non-fiction books have a plot.) In the back of my mind, I repeated over and over to the listener, "Stay with me, hang in there--you'll be glad you learned all this! The reward is coming." And it did, because the climactic battle, when it finally arrived, was thrilling and moving in a way it couldn't have been without this wealth of background information. And with that I navigate you toward today's pick, The Last Stand of the Tin Can Sailors. There is an excellent unabridged version available as well, but performing the abridgement was one of my most challenging and enjoyable experiences, and taught me a valuable lesson about preparation and the narrator's role in supporting the text while remaining absolutely faithful to the author's intentions.